John established Sourdust Pottery in 1991 at the age of 19, after he had trained with Nexus Design. He quickly established a reputation for innovative ceramics, supplying a wide range of quality gift retailers and galleries throughout the UK. By the dawn of the new millennium he had moved to his current pottery and gallery in Stocksfield. This provided him the basis for refocusing away from production for the retail sector towards the creation of a greater variety of unique high quality ceramics for galleries, that today constitutes his principal area of work. As well as exhibiting at numerous Trade Shows, John has since 1997 been a regular exhibitor at Potfest events around the country securing acceptance into the prestigious Potfest in the Park exhibition. During recent years he has also been sharing his skills and love of ceramics with others ranging from primary school children, through college students, to adult learners via courses and demonstrations both organised by education authorities in the North-East and at his own Sourdust Pottery in Stocksfield. 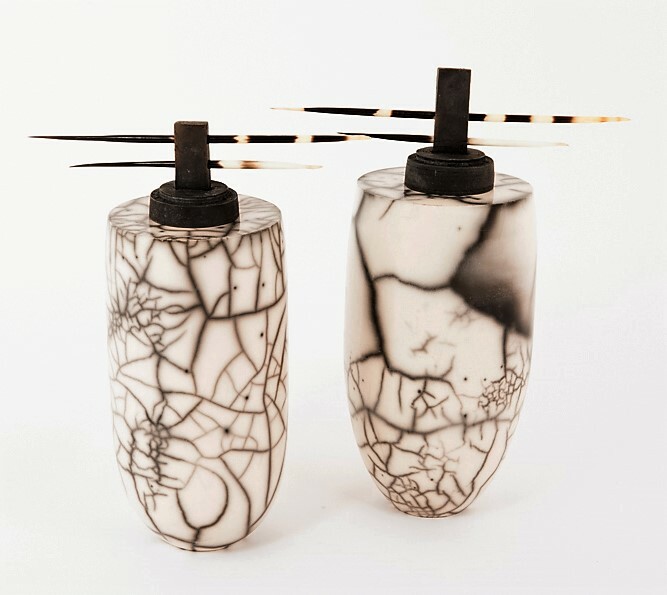 His current principal areas of work include Naked Raku, Saggar Firing and Sculptural Ceramics.